SALTO Eindhoven, Municipality of Eindhoven. 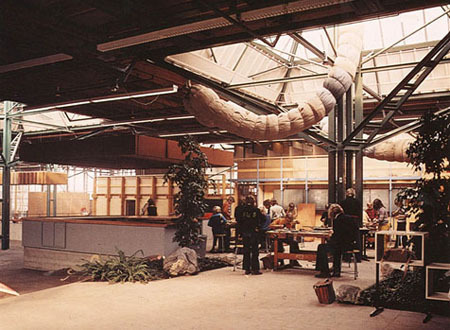 In 1970 the municipality of Eindhoven began a social experiment in the new district of Herzenbroeken with the residents involved in the decision-making phase of the project. The project aimed to bring people into closer contact by removing walls in a shared public space and combining different functions of the building. The interior 'landscapes' were openly connected to one another beneath one roof. The project generated important results and improvements creating links with other local organisations and service â€“ such as nearby schools. It also experimented with multi-purpose functions in rooms such as the bar that doubled as a doctor's waiting room. The aim was to group shops under one roof alongside social, cultural, health and educational facilities. 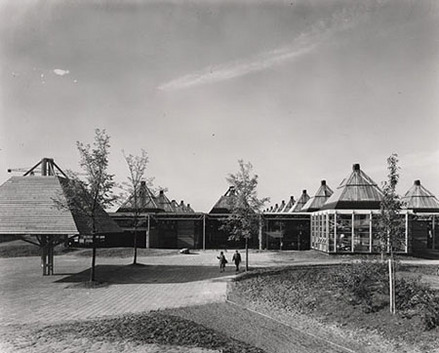 It provided a new cultural and social space to the Geestenberg inhabitants.